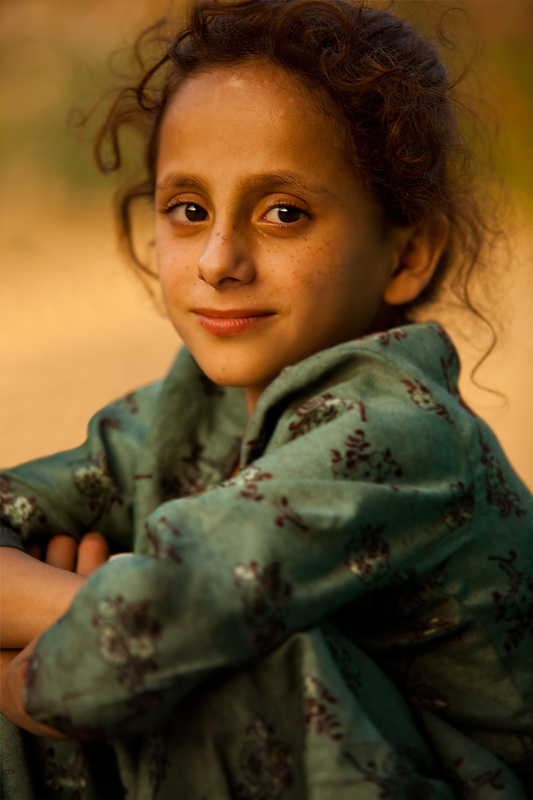 A young redheaded Kashmiri girl poses for a portrait. Although contained (reluctantly) within the borders of India, the residents of Kashmir often look nothing like their southern compatriots. Starkly contrasting dark hair and bright blue eyes are nothing out of the ordinary in Kashmir. In this set of portraits, I've isolated young red haired Kashmiris, a vision one wouldn't have when asked to describe a typical Indian national. Archived Kashmir photos (on the weekends) continues. 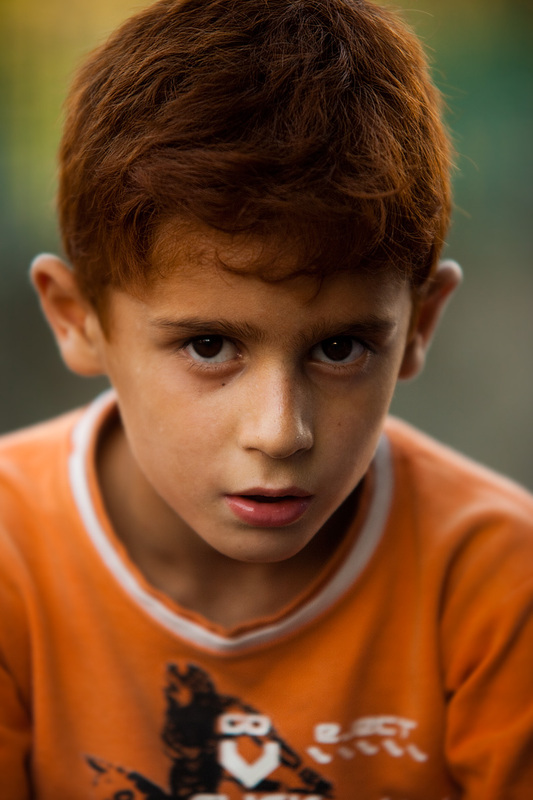 A young Kashmiri redhead poses for a portrait. Cute li'l guy. He appears to be carrying the weight of Kashmir's problems on his shoulders. 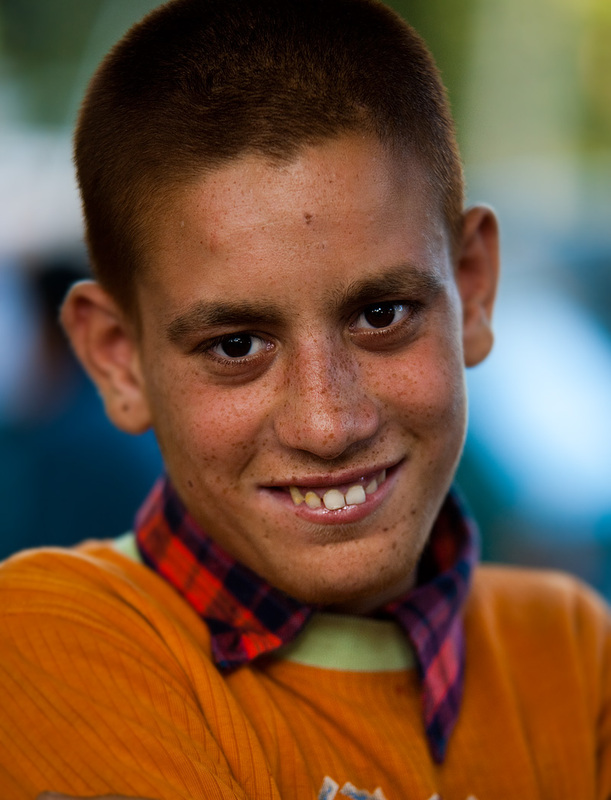 A young Kashmiri redhead poses for a photo. Stay tuned tomorrow for more archived photos (on the weekends). In India it depends on your caste not where you live, in case you didn't know majority of all of north india including Pakistan was ALL Buddhist, Hindu and Sikh. Pakistanis today are followers of a rebel leader from central India, that fled there for free land and money. They all fled to India's side ( mainly punjab or cities) before 1947 (no records or borders) the ones with land fled after, so in the Indian subcontinental situation it depends on your caste not where you live, and all the upper caste clumped up northern cities to get rich as well and south of Kashmir also has many immigrants, Kashmir is not a hot spot for immigrants, but native neighbors of Kashmir look just like them or more Caucasian because the native northerner a clumped there, including attracting upper caste, and remember the Sikh massacre, Kashmir was FULL of Sikhs but after the massacre they fled to the neighbor states, also Islam was brought to relieve the pain of lower caste, and went to the north for money and land. Iv studied Anthropology for 8 years at Coloumbia, don't make assumptions with no proof. Iv seen a lot more gingers in India out side of Kashmir, with freckles and hair a lot more red, we also have to remember henna is very popular among Asians. @amanda skin,eye and hair color have nothing to do with cast..all Europeans and Indians are in the same brunch of gene tree..and north Indians from indo European groups..and south Indian are Dravidian (mainly)... northern India is much cooler and south India is much closer to the equator that is the reason only..